Food for dogs with a contribution of 30% protein and 16% fat (30/16). Thanks to this composition and to the ingredients used we can say that I think Arion Winner is a food high energy for dogs. You must manage this food in dog sports (agility, hunting, mushing, canicross, etc.) and in pregnant mothers or infants. If your dog does sports, Arion Winner is the power that you need. 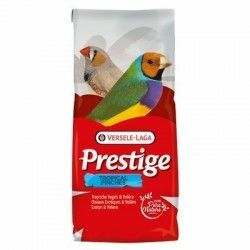 It has a high meat content of chicken and dose adecuacas of hemoglobin, which combined with the other ingredients provide energy and nutrients necessary for a perfect feeding of our dog. This dog food has ingredients that improve the digestibility of the product and reduces the amount and odor of feces. This product provides nutrients essential for our pets to have the energy and vitality necessary taking into account its level of life and the demand for energy required for their activity. The presence of L-Carnitine facilitates the metabolism of fats. Lecithin this takes the fat and converts it into energy. 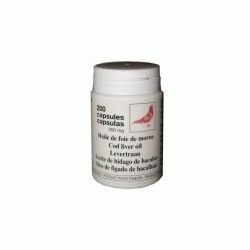 Contains chelated minerals that improve the bio-availability of certain minerals. With proteins and fats of high quality. INGREDIENTS Arion Friends Winner: cereals (rice min. 5%) and derivatives of cereals, meat and meat products of meat (minimum chicken 19%, hemoglobin min. 5%), oils and fats (animal fat), derived vegetables (beet pulp), soy lecithin, yucca. ANALYSIS: Protein 30%, Fat 16%, Crude Fiber 3%, crude Ash 8%, Calcium 1,6%, Phosphorus 1,35%, Sodium 0,25%. Description: Food for dogs with a contribution of 30% protein and 16% fat (30/16). 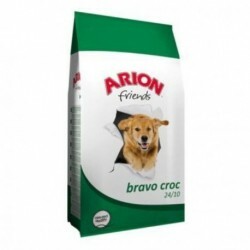 Thanks to this composition and to the ingredients used we can say that I think Arion Winner is a food high energy for dogs .